Different types of clinical research are used depending on what the researchers are studying. Below are descriptions of some different kinds of clinical research. Treatment research (also called “clinical trials”) generally involves an intervention such as medication, psychotherapy, new devices, or new approaches to surgery or radiation therapy. Also known as “supportive care,” this research explores ways to improve comfort and the quality of life for individuals with a chronic illness. Genetic studies aim to improve the prediction of disorders by identifying and understanding how genes and illnesses may be related. Research in this area may explore ways in which a person’s genes make him or her more or less likely to develop a disorder. This may lead to development of tailor-made treatments based on a patient’s genetic make-up. An important note: some clinical research is “outpatient,” meaning that participants do not stay overnight at the hospital. Some is “inpatient,” meaning that participants will need to stay for at least one night in the hospital or research center. Be sure to ask the researchers what their study requires. Clinical trials are a kind of clinical research designed to evaluate and test new interventions such as psychotherapy or medications. Clinical trials are often conducted in four phases. The trials at each phase have a different purpose and help scientists answer different questions. Researchers test an experimental drug or treatment in a small group of people for the first time. The researchers evaluate the treatment’s safety, determine a safe dosage range, and identify side effects. The experimental drug or treatment is given to a larger group of people to see if it is effective and to further evaluate its safety. The experimental study drug or treatment is given to large groups of people. Researchers confirm its effectiveness, monitor side effects, compare it to commonly used treatments, and collect information that will allow the experimental drug or treatment to be used safely. Post-marketing studies, which are conducted after a treatment is approved for use by the FDA, provide additional information including the treatment or drug’s risks, benefits, and best use. A study of family history that involves talking to family members to learn about people’s medical needs and history. This entry was posted in Learn Clinical Research and tagged AHC, AHC CRO, auroblog, Aurous HealthCare, Aurous HealthCare CRO, Aurous Newsletter, AurouSpeak, Ayurveda, ayurveda clinical trials, ayurveda companies in india, Ayurveda latest news, AYUSH, AYUSH latest news, Clinical Research, clinical research certificate, clinical research course, clinical research free online course, clinical research newsletter, clinical research online course, clinical research online course india, Clinical Trial, clinical trial newsletter, Corporate of Aurous HealthCare, D and C act, Dr Sriraam Aurous HealthCare CRO, Dr. Sriraam, Dr. VT. Sriraam, Drug discovery, drug discovery and development, Drugs and Cosmetic Act, how new drug is discovered, Learn Clinical Research, Learn clinical research online, new drug discovery, news in ayurveda, news in clinical trial, news in siddha, Newsletter, newsletter format, newsletter sample., newsletter template, newsletter templates, pg diploma in clinical research, pharma industry, pharma newsletter, research updates in Ayurveda, research updates in clinical research, research updates in clinical trials, Siddha, siddha latest news, Unani. This entry was posted in Learn Clinical Research and tagged AHC, AHC CRO, assay development, Aurous HealthCare, Aurous HealthCare CRO, bioinformatics, Clinical Research, clinical research certificate, clinical research course, clinical research free online course, clinical research online course, clinical research online course india, Clinical Trial, D and C act, Dr Sriraam Aurous HealthCare CRO, Dr. VT. Sriraam, Drug discovery, drug discovery and development, Drugs and Cosmetic Act, hit to lead, how new drug is discovered, lead identification, lead optimisation, Learn Clinical Research, Learn clinical research online, new drug discovery, pg diploma in clinical research, Target identification, target optimisation. 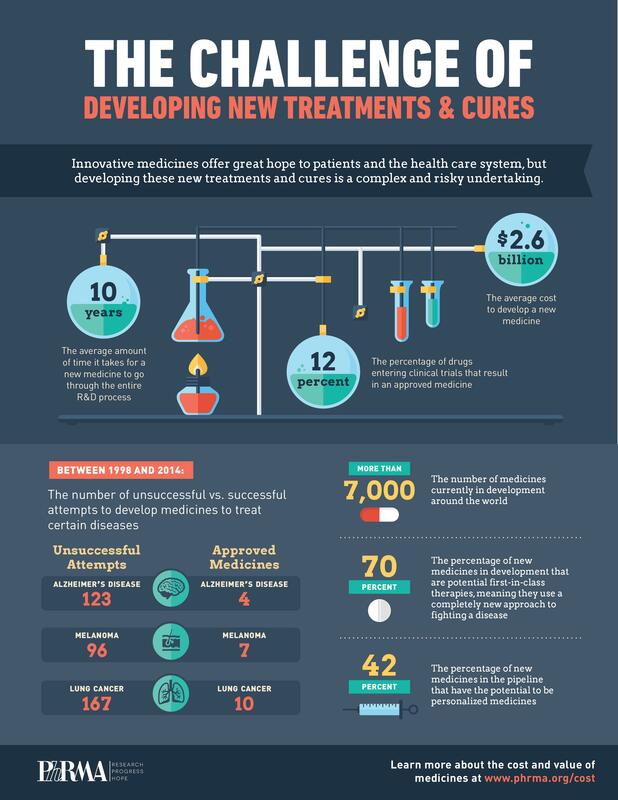 First, a scientist or a team comes up with an idea for a new drug to treat a disease or a vaccine to prevent one. If it’s a drug, they will test the compound against the virus or bacteria in vitro – that is Latin for in glass. They might put the drug into a glass plate in which a virus is growing to see if the drug kills off the bugs. The next step involves testing the experimental product in animals – in vivo, which is Latin for within the living. These animals ideally develop symptoms similar to what humans experience when they are infected with the bacteria or virus in question. If the drug or vaccine cures or protects susceptible animals, it might do the same for people. Mice are commonly used as models in the early stages of animal testing, but something that works in mice would generally be tested in another animal species as well. Mice are very different from people and the evidence is more persuasive that a drug or vaccine will work if it is effective in a species more closely related to humans than mice. In influenza research, ferrets are often used. In Ebola research, macaques and other non-human primates are employed. If the animal experiments are successful, the developers of a drug or vaccine will move to test it in people. That work begins with what is called a Phase I trial. These studies are small, often enrolling just a few dozen people, and they are carried out in healthy volunteers. These studies are designed to answer a couple of key questions: 1) is this experimental product safe for people to take, and is it safe to continue to test it? 2) what is the right dose to use in people? When it comes to the dose, researchers are trying to hit the sweet spot: enough so that the product will be effective, but not too much, to limit the risk of toxicity or harmful side-effects. Phase I trials cannot tell you if a drug or vaccine is effective or not, because the people don’t have the disease that the drug will target, though they can provide hints. In the Phase I trials for Ebola vaccines, for instance, researchers measured the immune response the vaccines provoked. It may seem odd, and even cruel, to give some patients a placebo–why not give everybody the actual drug? The reason is that by comparing the effects of a drug to that of a placebo, researchers can determine how much effect the drug really has. It is considered the fastest and most reliable way to get an answer about whether the drug or vaccine works. And until it is clear that the product being tested does work, it is generally not considered unethical to withhold it. Once a study reveals that a drug works, however, researchers can no longer ethically compare it to a placebo. A Phase II trial will start to make it clear whether the drug or vaccine being tested actually works; because more people are involved than in Phase I, it will also tell researchers more about the side-effects. If it appears that the drug or vaccine is effective, the developers will proceed to a Phase III trial, which involves still larger numbers of people. This is the level of study that is meant to answer the question: Does this drug or vaccine really work? Phase III trials typically enlist thousands of people. For the Ebola vaccine trial in Liberia that kicked off early 2015, for instance, 27,000 people were expected to take part. If a Phase III trial shows that a drug or vaccine is effective, the company developing the product can apply to a regulatory agency such as the U.S. Food and Drug Administration or the European Medicines Agency for a license to produce the product for sale. Drugs fail in the clinic for two main reasons; the first is that they do not work and the second is that they are not safe. As such, one of the most important steps in developing a new drug is target identification and validation. A target is a broad term which can be applied to a range of biological entities which may include for example proteins, genes and RNA. A good target needs to be efficacious, safe, meet clinical and commercial needs and, above all, be ‘druggable’. A ‘druggable’ target is accessible to the putative drug molecule, be that a small molecule or larger biologicals and upon binding, elicit a biological response which may be measured both in vitro and in vivo. It is now known that certain target classes are more amenable to small molecule drug discovery, for example, G-protein-coupled receptors (GPCRs), whereas antibodies are good at blocking protein/protein interactions. 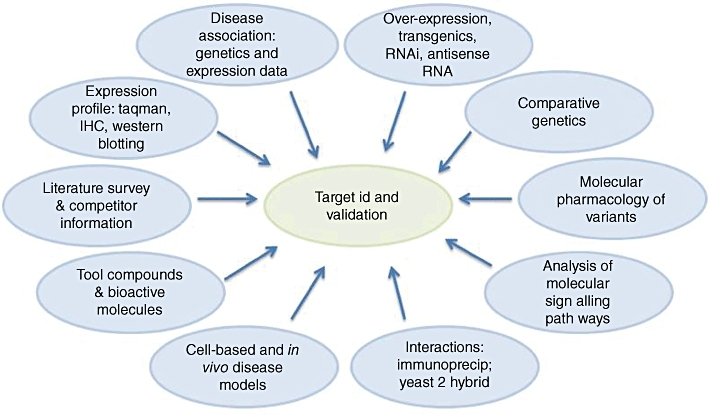 Good target identification and validation enables increased confidence in the relationship between target and disease and allows us to explore whether target modulation will lead to mechanism-based side effects. An alternative approach is to use phenotypic screening to identify disease relevant targets. In an elegant experiment, Kurosawa et al. (2008) used a phage-display antibody library to isolate human monoclonal antibodies (mAbs) that bind to the surface of tumour cells. Clones were individually screened by immunostaining and those that preferentially and strongly stained the malignant cells were chosen. The antigens recognized by those clones were isolated by immunoprecipitation and identified by mass spectroscopy. Of 2114 mAbs with unique sequences they identified 21 distinct antigens highly expressed on several carcinomas, some of which may be useful targets for the corresponding carcinoma therapy and several mAbs which may become therapeutic agents. Antisense technology is a potentially powerful technique which utilizes RNA-like chemically modified oligonucleotides which are designed to be complimentary to a region of a target mRNA molecule (Henning and Beste, 2002). Binding of the antisense oligonucleotide to the target mRNA prevents binding of the translational machinery thereby blocking synthesis of the encoded protein. In contrast, transgenic animals are an attractive validation tool as they involve whole animals and allow observation of phenotypic endpoints to elucidate the functional consequence of gene manipulation. In the early days of gene targeting animals were generated that lacked a given gene’s function from inception and throughout their lives. This work yielded great insights into the in vivo functions of a wide range of genes. One such example is through use of the P2X7 knockout mouse to confirm a role for this ion channel in the development and maintenance of neuropathic and inflammatory pain (Chessell et al., 2005). Monoclonal antibodies are an excellent target validation tool as they interact with a larger region of the target molecule surface, allowing for better discrimination between even closely related targets and often providing higher affinity. In contrast, small molecules are disadvantaged by the need to interact with the often more conserved active site of a target, while antibodies can be selected to bind to unique epitopes. This exquisite specificity is the basis for their lack of non-mechanistic (or ‘off-target’) toxicity – a major advantage over small-molecule drugs.